Gary Busey has had quite a decorated personal life. His active hard livin lifestyle definitely took a toll on his looks and many presume he underwent some plastic surgery to reverse the effect his lifestyle has had on his appearance. While the fans speculate about his overly uplifted eyebrows and sunken eyes, part of his strange look may be due to the terrible motorcycle accident he suffered. He could have had facial bone fractures and reconstructive surgery after the accident. The asymmetry and look around his eyes may be the effect of his accident and facial reconstructive surgery. Depending on the severity of his accident, his awful plastic surgery as some deem it, may not be that awful. Gary Busey certainly looks like he has had dental veneers. His veneers have been displayed prominantly on the celebrity plastic surgery gossip and news web sites. While beautiful straight white teeth can be a sign of youth, if they are too perfect and placed onto the face of an older person, they can actually make the person look oddly plastic, not younger as intended. His veneers were largely criticised as having been too perfect and chiclet looking, and too big. Whenever an older person gets veneers that appear too perfect, the overall aesthetic may not be a positive one. 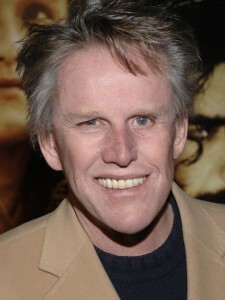 Busey may have had his teeth redone since those observations were noted on the gossip sites.